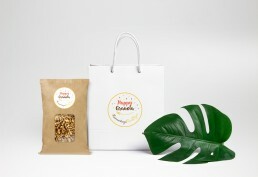 Happy Granola turns every breakfast into a joy and a surprise. 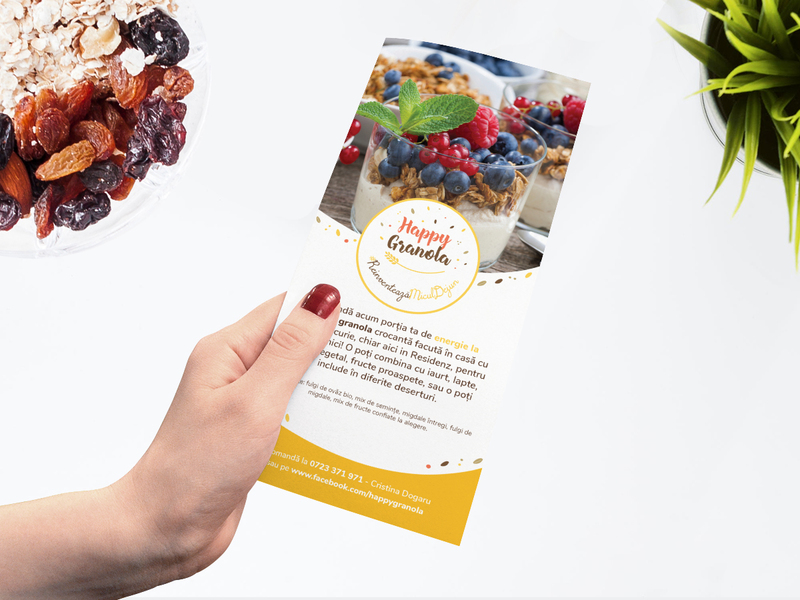 The crunchy, healthy mix of whole grain oat flakes, seeds and nuts can accompany creamy yogurt, milk, vegetal milk and can be topped with a wild combination of forest fruit, sour cherries, mango or anything you can think of. 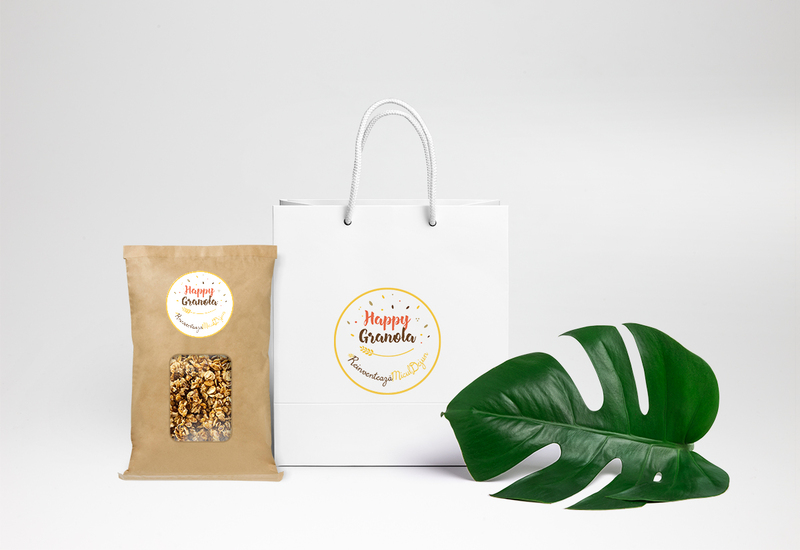 We created a logo that speaks freshness and energy, the same way happy granola gives you a boost and a good state of mind to start the day with.